Home Australian politics Malcolm Turnbull was betrayed! Peter van Onsolen, otherwise known as Mr I’m Not A Leftist, has claimed that Malcolm Turnbull was knifed by the “reactionary right” of the Liberal Party, ignoring the fact that Malcolm Turnbull originally knifed Tony Abbott and proceeded to drag the Liberal Party to the socialist left. Furthermore, Mr I’m Not A Leftist claims the conservative base represents an ever shrinking, irrelevant sector of the Australian population, rather than the bulk of ordinary Australians. 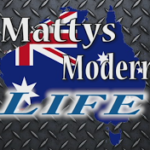 Matty’s Modern Life gets to work countering these assertions. Even if Mr Van Olsolen is correct re the conservative base shrinking. If Europe and the USA is anything to go by, after another decade or two of left socialist policies, the conservative base will grow again. Or people will just get older and their brains will develop. The major parties are leaking the primary vote to…you guessed it- the minor RIGHT parties. To suggest that the conservative base is shrinking, especially when viewed through the world political trend Onselon is dumb, dumb, dumb. Professor my arse.